for his assistance in making this all happen. 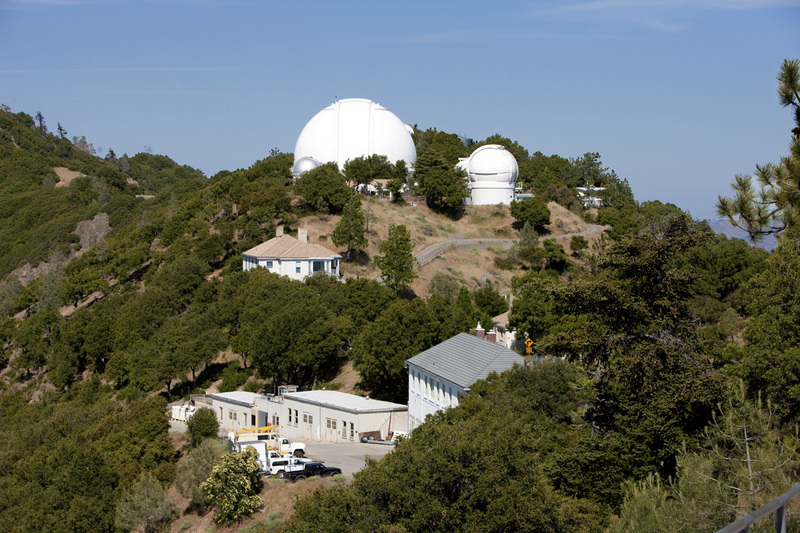 Finally, a big thanks to the wonderful staff of the Lick Observatory for their generous hospitality during my visit. Following is the latest release on their investigation. 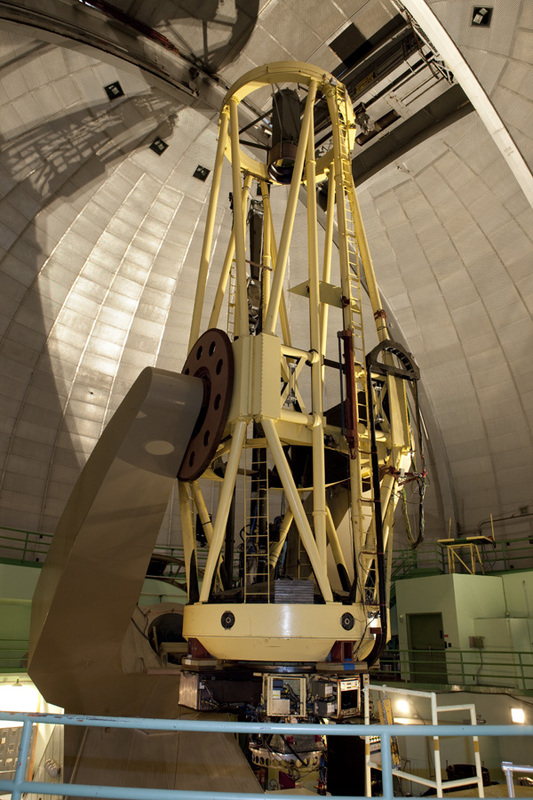 "Spectral examination of the Soap Bubble Nebula (PN G75.5+1.7) was conducted by Dr. Richard Rudy of Aerospace Corporation and his collaborators from UC San Diego and NASA during a June 23-25, 2010 observing run using the 3-m Shane Telescope at Lick Observatory. The spectrograph used for the observation, the VNIRIS (Visible and near-IR imaging spectrograph), was a long slit, moderate resolution spectrograph comprised of a visible and 2 infrared channels. It was configured to cover the wavelength regime from just short of H-beta to 2.5 microns. The spectrograph slit was rotated to an optimal angle in order to collect data on the brightest portion of the nebula’s rim along its SW margin and eliminate stars from the field of view. 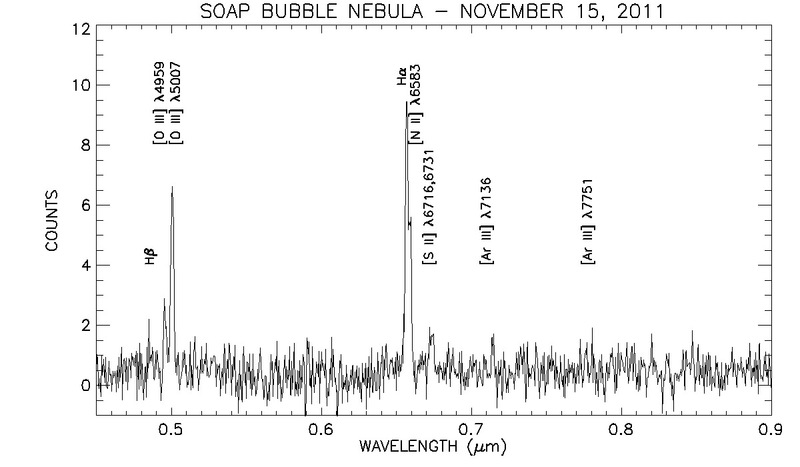 Thin to moderate cirrus over the course of the observing run resulted in a low S/N ratio and prevented detailed characterization of PN G 75.5+1.7, however the telltale emission lines commonly found in planetary nebulae, namely the OIII (4959 and 5007 Angstroms) and H-alpha line (6563 Angstroms), were clearly noted in the spectrum, thus confirming the true nature of this object as a planetary nebula. To more fully characterize this object will require an additional observing run under better atmospherics, hopefully planned for the fall of 2010." 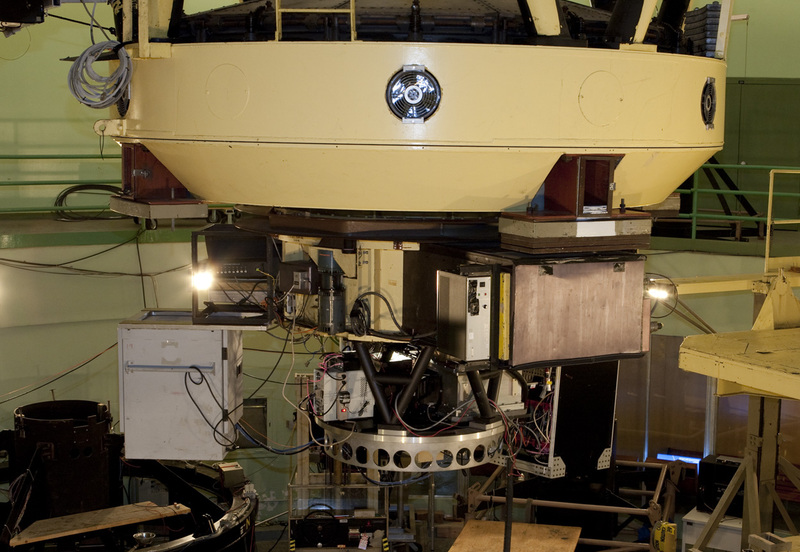 which houses a robotically controlled 2.4-meter automated telescope and a high-resolution spectrograph used to search for rocky planets with very low masses by means of radial velocity changes. cast as a glass test blank in the Corning Labs for the Palomar Observatory 200-inch reflector. The telescope can be used in three focus configurations; Prime, Cassegrain and Coude. optimized for the blue and red ends of the visual spectrum, and an infrared imaging system (Gemini) operating in the 1-5 micron wavelength range. In the 3-meter dome control room collecting data on PN G75.5+1.7. 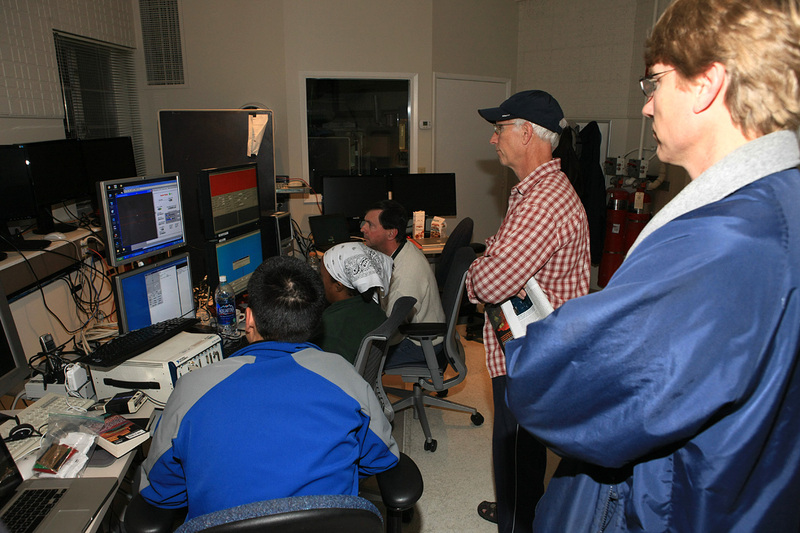 Pictured seated from left to right are Edward Laag and Trishana Prater of UC San Diego and Brad Perry of NASA Langley. Standing with the blue jacket on is Donnie Redel, the telescope operator and Dr. Richard Rudy, the principal investigator from Aerospace Corporation in Torrance, CA.